Price Reduction! Let the stress fade away in your own private wooded retreat. This beautiful Bass & Royster custom-built home in desirable Beaverdam community is the perfect oasis. A calm takes over as soon as you open the door to the sounds of the creek below. Enjoy nature from the screened-in porch, easily accessed by the living room or master bedroom. The master on the main level offers easy access for all walks of life. The large living room with vaulted ceilings and large windows makes for a great entertaining space. The kitchen features custom cabinetry and an additional sun-soaked breakfast nook. The lower level has an inviting sitting room or game room and additional bedrooms. Upstairs there is a bonus room great for crafting or extra storage. 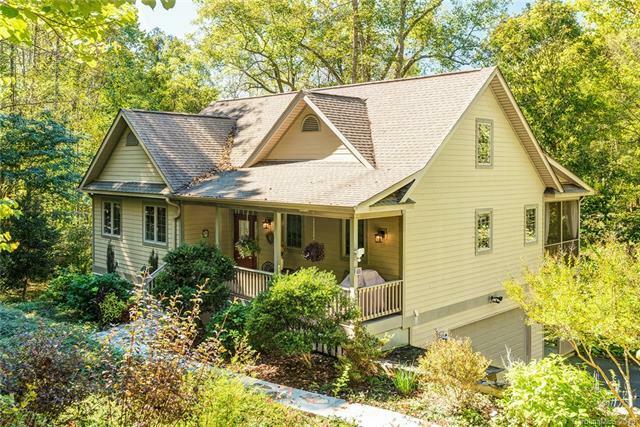 This home has all the conveniences of city living with city water and sewer, but county taxes!